No hidden fees. Unlimited users. Cancel anytime. Over 20 Add-ons to help grow your business and improve efficiency. View Plan Comparison for more info. A powerful tool for businesses which install, service or inspect any kind of equipment or assets. Complete site audits, procedures, and checklists in the field, then immediately turn them into professional PDF reports. Inbox converts emailed work orders into jobs. 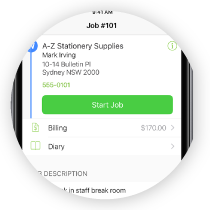 Work Order PDF's are scanned automatically and populate jobs with information. See how profitable a job will be while you’re quoting and how much you've made after the job is completed. Quickly set material and labour prices based on margin. Record & save business knowledge, expertise, tips & procedures in the form of Videos or Articles. Brand SMS's sent to your customers with your business name instead of 'ServiceM8'. Take payment through the app, or send a link to pay online. Allow your customers to get a live quote, select a time, then book a service with your business. Systemise and streamline the way you create, quote and schedule jobs. Badges assist in passing critical job information from the office to the field. Send quote requests and work orders to other small businesses and contractors. Create a job once and schedule it to recur at set time intervals. ServiceM8 can optimise the scheduled time and route to minimise travel distance for recurring jobs. An easy and fast way to collect feedback about your business and service. Automate email and SMS communication with clients about upcoming bookings and outstanding quotes & invoices. Automatically import supplier invoices to jobs. Invoice your customers for deposits and progress payments quickly and easily. 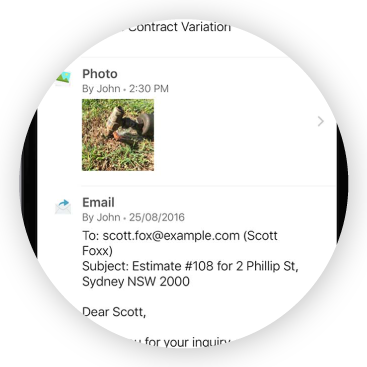 Control how photos are branded before being emailed to clients and suppliers. Let clients see a live map of your staff's journey to the job. Preset everything about your job from description, diary notes and attachments, items/services and pricing. Show staff leave on the dispatch board and schedule. 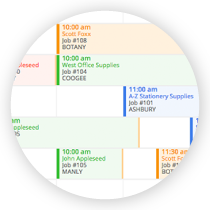 Import external calendar appointments from Google Calendar, Office 365 or other iCal-compatible calendars into the ServiceM8 schedule and calendar. Export your ServiceM8 schedule to other calendar software like Google Calendar or Office 365. Automatically sync all client email addresses in ServiceM8 with your MailChimp mailing list. Build your own customised connections between ServiceM8 and over 500 other supported apps. 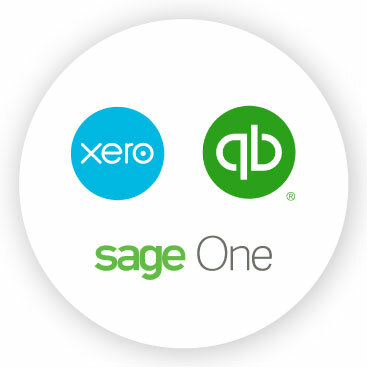 Integrate ServiceM8 with Xero, Sage One or Quickbooks Online to automatically sync clients, items, invoices, and payments. Estimate how profitable a job will be while you’re quoting and how much you've made after the job is completed. ServiceM8 provides everything you need to manage your jobs, staff and customers in each plan. Take control and work smarter with real-time communication between your office, field staff and customers. Access all client and job details from the field, anywhere, anytime. Easily manage your staff schedules from anywhere. 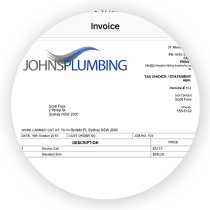 Create professional quotes and invoices in the field easily. Access a full history of work done for every client, including notes, photos, emails, and messages - anywhere. Take payment through the app, or send them a link to pay online. 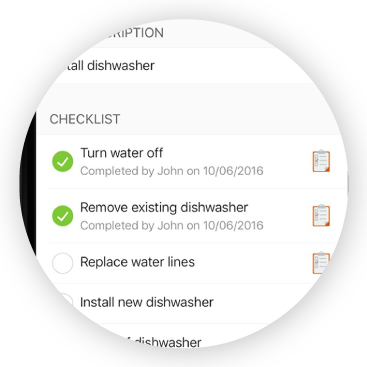 Use checklists and tasks to ensure jobs are done right the first time, every time. See where all your staff are and make smarter dispatch decisions. 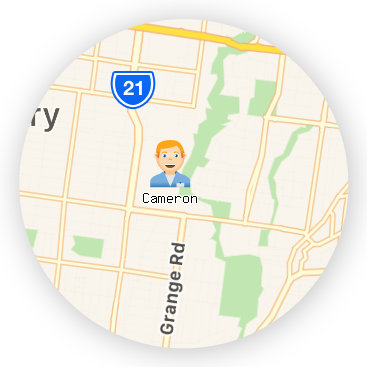 Automatically notify customers you're on the way to the job or about upcoming bookings. 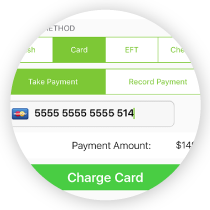 Sync clients, items, invoices, and payments with your accounting package. 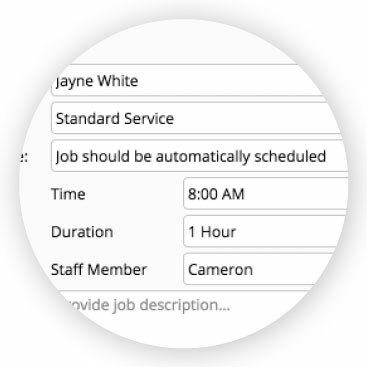 Create a job once and schedule it to recur at set time intervals automatically. Automate routine communication with clients, provide better service and generate more work. No. There is no setup fee for ServiceM8, however you can pay to have a ServiceM8 partner help setup your account, quote & invoice templates, forms and more. Find a local Partner here. Yes. Although we'd be sad to see you go, you can cancel your account from your account control panel. Can I pay for setup and training services? Yes, ServiceM8 Partners can help you from initial consultation through to setup and training. Find a local Partner here. What is classed as a 'job' for billing purposes? 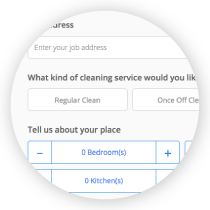 A 'job' is any instance in which your business uses ServiceM8 to create either a quote/estimate, or a work order. If you have a quote/estimate which later becomes a work order, it will still only use one job credit. What add-ons are available on the capped plans? Some ServiceM8 Add-ons are only available on Growing, Premium and Premium Plus plans, view the Plan Comparison above for more info. 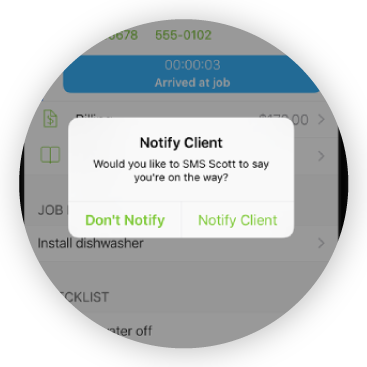 When does ServiceM8 send SMS messages? SMS messages are only sent to customers and staff without an iPhone or iPad, and only after you confirm the message. 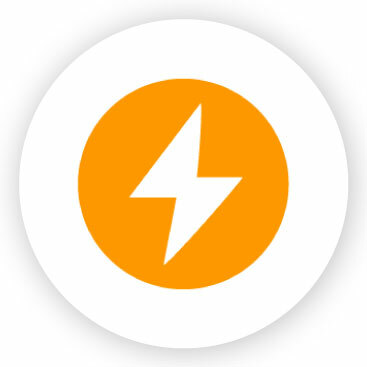 Staff with an iPhone or iPad receive push notifications from your ServiceM8 account via their internet connection, free of charge. No. We want to see you up and running as quickly as possible. You'll have 14 days to try ServiceM8 before you'll be required to supply credit card details. Do I need to select a plan to trial ServiceM8? No, when you start a 14 day trial you'll have full access to all features. At the end of your trial you'll need to select a plan to continue. Are you locked into a capped plan tier once selected? No — you can switch between capped plan tiers at any time. What happens if you exceed your plan's job cap? You will have a limited time to upgrade to the next plan, however you won't be immediately locked out or prevented from creating new jobs. What happens if you exceed your plan's SMS cap? There is a standard SMS overage fee per SMS sent over the included monthly SMS cap — view the Plan Comparison above for more info. I have more questions, where can I get help? You can start a chat with one of our helpful support staff anytime or send an email to support@servicem8.com and we'll get back to you as soon as we can.